Stop me if you’ve heard this one: how many scientists does it take to author a study on the Higgs boson particle? Around 6,000. 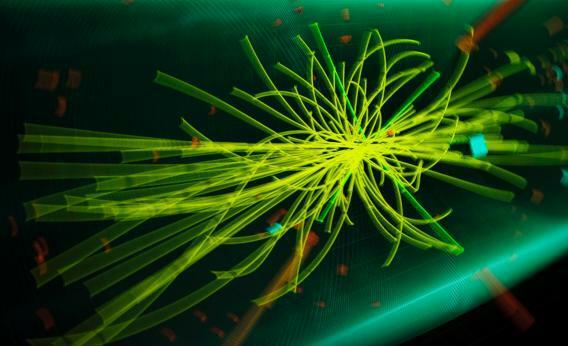 Two articles by the teams at CERN, about 30 pages each, include 19 pages of single-spaced text with roughly 6,000 names of researchers who peer-reviewed the results of the experiments, making the discovery of the elusive God particle valid. The papers conclude there is a one-in-300-million chance that the Higgs does not exist, thereby validating the theory on why elementary particles have mass. Particle physicist Peter Higgs first predicted the particle in 1964. So you might say the 48-year hunt for the God particle reached biblical proportions.